The synergy was felt from a distance. As I approached the long family-style table set at the Caravela Restaurant in Danbury to celebrate Father Pedro Diniz’s visit, there was no doubt about the marks his spiritual leadership had left while ministering to the Brazilian community at Saint Peter’s Catholic Church, the third oldest parish in the Diocese of Bridgeport, CT.
With the financial assistance of a group of church members, Fr. Diniz had traveled to the United States to spend what they called “a short 10-day period” visiting with members who had become close friends with him. “I am humbly thrilled to see all of you here tonight, and thankful for your affection, hospitality and friendship,” expressed Fr. 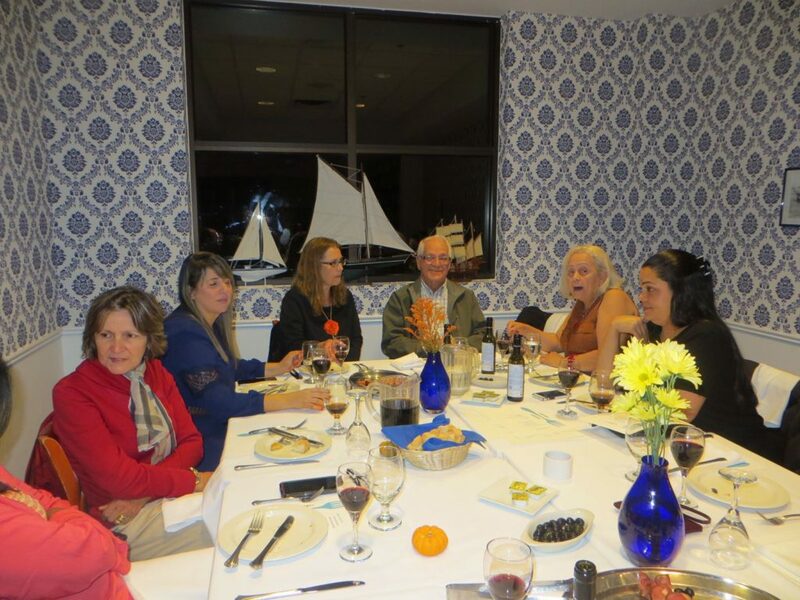 Diniz to a group of over 35 people that gathered to have dinner with him on the evening of October 22. Fr. Diniz ministered for many years at St. Peter’s parish, leading the work, events and masses for the local Brazilian community. “We are so happy to see him again. We miss his welcoming heart, his wisdom and kindness,” shared longtime church parishioner Rita Kovaks. Fr. Diniz is currently living and ministering to a parish in a rural area of Rio de Janeiro, Brazil. Fr. Leonel Medeiros was appointed to take his position at St. Peter’s when Fr. Diniz left in 2011. St. Peter’s Parish was established in 1851 to serve a growing Irish immigrant population, but today it is home for worship and spiritual enhancement for people of many ethnic backgrounds who are united by their Faith. “We have no words to explain our gratitude for everything Fr. Diniz did for us,” concluded Kovacs.